We all know how valuable extra storage space can be, especially when living in a small home. This storage coffee table is made from a couple of wine crates and is ideal for storing TV remotes, kids toys, magazines, and CD and DVDs. It’s also practical for children’s bedrooms as a toybox on wheels, or on the patio for storing accessories. 1. Have half a sheet of 16mm or 18mm plywood cut to size at your local Builders Warehouse. 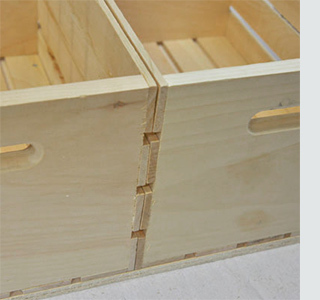 Measure the length and width of your two wine crates to have the boards cut to fit. 2. Secure the wine crates to the plywood base. 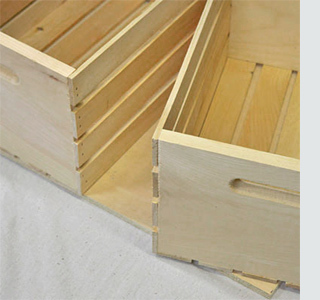 We have specified 25mm screws, but if the slats on your wine crate are thinner than 10mm, rather use smaller screws to secure the crates to the base. 3. Use 16mm screws to secure the castor wheels to the underside of the base at each corner. Measure in 3cm from the edge to mount the castor wheels. 4. 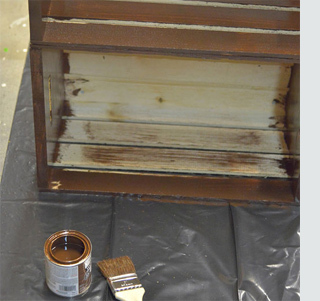 Before mounting the top, take the time to sand everything with 240-grit sandpaper. Wipe clean before applying Plascon Woodcare Sunproof varnish. This is an exterior varnish that comes in various colour tints and provides excellent protection if you plan to use as a coffee table. Apply to the boxes, base and lid. 5. Secure the hinges to the underside of the lid, mounting them so that they are positioned to be centrally on each wine crate. 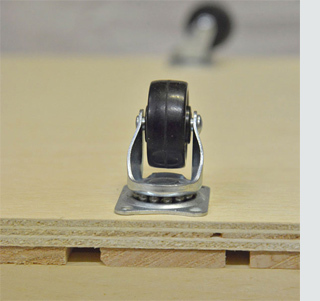 Make sure that the barrel / pin of the hinge overhangs the edge of the board. 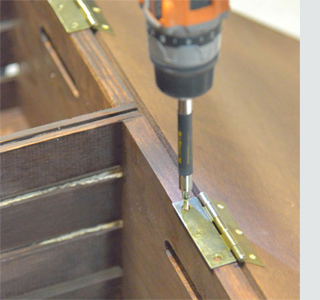 Now you can secure the hinges to the edge of the wine crates. 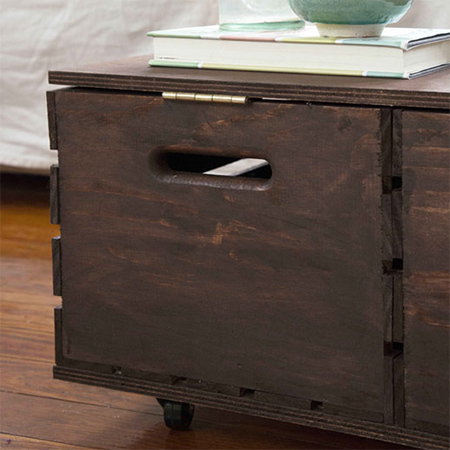 Now your mobile storage coffee table is ready for use.